The latest SafeTrack work on Metrorail is bringing some major adjustments for Virginia commuters -- Blue Line trains are running 24 minutes apart, even during rush hour, and there is no Yellow Rush+ service. The latest phase of Metro's aggressive repair plan will last more than a month, beginning Saturday and lasting until April 9. Crews are working in two phases for the latest surge, number 13. Blue and Yellow trains are sharing the single track through the work zones. Phase 1 (Saturday through April 1) affects Blue and Yellow trains between Braddock Road and Huntington/Van Dorn Street. No Yellow Rush+ trains are operating, but extra Yellow Line trains are running between Reagan National Airport and Mount Vernon Square. Northern Virginia residents who depend on Metro's yellow and blue lines should start planning to get around another way for the next few weeks. News4's David Culver reports on the latest SafeTrack surge. Trains will continuously single-track between Braddock Road and Huntington-Van Dorn Street. Blue Line trains will run every 24 minutes, even during rush hour. Would-be Blue Line riders should consider alternate travel options. There will be no Yellow Rush+ service. Yellow Line trains will run every 24 minutes between Huntington and Mount Vernon Square, even during rush hour. Would-be Yellow Line riders south of Reagan National Airport should consider making other travel plans. Extra Yellow Line trains will run between Reagan National Airport and Mount Vernon Square. Riders traveling south of the airport should consider transferring at Pentagon, Pentagon City or Crystal City to continue their trips and avoid crowding. After 10 p.m., all Yellow Line trains will run between Huntington and Mount Vernon Square every 24 minutes. Phase 2 (April 2-9) will affect Yellow Line trains only between King Street-Old Town and Huntington. Yellow Line trains will continuously single-track between King Street-Old Town and Huntington-Van Dorn. Yellow Line trains between Huntington and Mount Vernon Square will run every 24 minutes at all times. Would-be Yellow Line riders should consider making other travel plans. 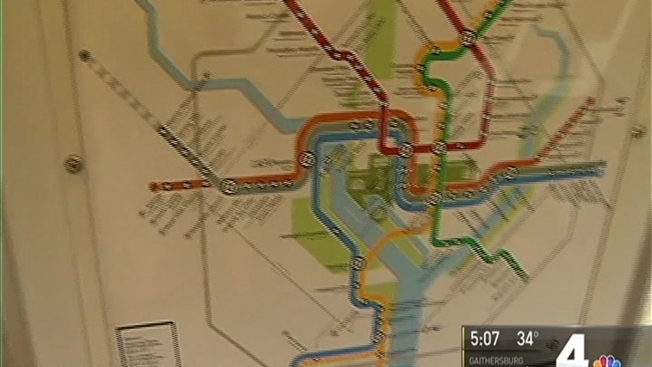 Extra Yellow Line trains will run between Reagan National Airport and Mount Vernon Square. Riders headed south of the airport should consider transferring prior at Pentagon, Pentagon City or Crystal City to continue their trips and avoid crowding. Blue Line trains will run normally (every 12 minutes during rush hour). Passengers using Blue or Yellow trains during Surge 13 should expect delays. Weekend train frequencies could change due to other planned track work on the system, Metro said. WMATA Pentagon Shuttle: Free express shuttle buses will run between the Franconia-Springfield and Pentagon stations during weekday rush hours. DASH Pentagon Shuttle: Free express shuttle buses will run between King Street-Old Town and the Pentagon during weekday rush hours. Shuttles will depart roughly every 12-15 minutes and will operate in both directions. DASH bus: DASH will add extra AT3 and AT4 trips in the early morning from Old Town Alexandria to the Pentagon Metro station. Metroway: The Metroway bus system will run more frequently between Braddock Road and Pentagon City during weekday rush hours. Metrobus: Metrobuses will run more often on the 11Y (Mount Vernon to Potomac Park) and 10A (Huntington to Pentagon Metro stations) bus routes, with normal fares. Riders from Alexandria and southern Fairfax County should consider riding the VRE from Franconia-Springfield or King Street-Old Town to get to Crystal City, L'Enfant Plaza or Union Station. Alexandria has 31 Capital Bikeshare stations citywide. Consider biking as a travel alternative. Capital Bikeshare has added an option for users to buy a single trip for $2. Alexandria's Traffic Management Center says it will be ready to assist and adjust traffic signal timing as needed. The city of Alexandria is reaching out to employers, businesses and retailers to encourage teleworking and flexible work schedules. The city manager has directed all city departments to expand telework and alternate work schedules for city employees.